-Marinate the tofu in the vegetarian stir-fry sauce for approx 30 minutes. -Put the mixed stir-fry vegetable, mayonnaise, sriracha sauce, lemon juice and a pinch of salt and pepper in the mixing bowl. fold all the ingredients together and set aside. This is your Asian slaw. -Remove the tofu out the marinating bowl. Sprinkle the sesame seed all over the tofu. -Heat the oil in a non-stick frying pan. Gently fry the tofu until it turns golden in colour and crispy on the outside ( approx 8-10 minutes on each side). Season with black pepper on each side. 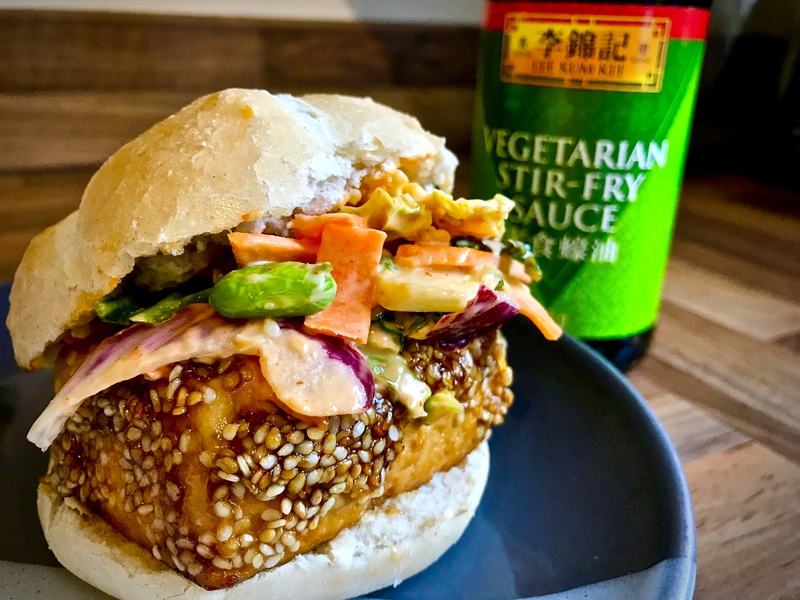 -Assemble the burger by putting the frying tofu on the bun, Asian’s slaw and jalapeno on top. 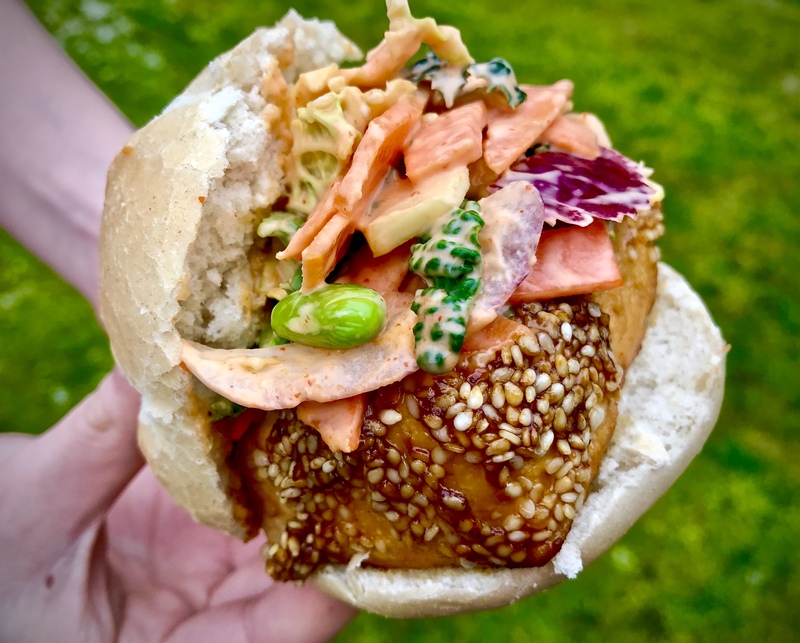 Enjoy Tofu Burger immediately. -Use the kitchen towel to absorb the excess water on the tofu before marinating. -Be careful while you are frying the tofu as sesame seed is easily burnt. -This recipe goes well with Sourdough Bun. -Butter the bun or not is totally your choice.